With the huge variety of parades, fireworks displays, festivals, concerts, comedy shows, museums and art exhibitions happening in Metro Vancouver on Canada Day, the only way you’ll be bored is if you aren’t looking. If you’re looking for the biggest Canada Day celebration in Vancouver, look no further than Canada Place. The family-friendly event will have something for everyone, including three stages with musical performers like Watasun, Hairfarmers and Hanna Georgas, food trucks, street hockey and live Canadian Citizenship Ceremonies. Check out their website for the complete list of events and performers. Time: 8 a.m. to 11 p.m. There will be tons of festival food, activities and performers for families and attendees to take part in. Keep your eyes open for the multitude of things happening all over Granville Island. Tea Zen is an exhibit which showcases documentarian Lam Wong’s work investigating the most popular drink in the world. Interviewing tea farmers, enthusiasts, artists, tea masters and a Zen monk, his photographs of tea fields in China, a hand-made 100-piece tea set and the exquisite calligraphy scrolls written by master calligrapher, Don Wong, Lam Wong presents a picture of thousands of years of tea history. Time: 9:30 a.m. to 7 p.m. Put on by the Musqueam First Nation, the Museum of Anthropology, and the Museum of Vancouver, cesna?em, the city before the city is a series of three interconnected exhibitions that overlays Vancouver with c̓əsnaʔəm – the ancient village and burial site that was located in what is now Vancouver. The exhibition includes soundscapes, original videography and family-friendly interactive displays. UBC’s Museum of Anthropology MOA presents the largest collection of Portuguese art in North America. The collection includes graffiti and mural paintings, puppets, figurines, carnival maskse. The purpouse of the exhibit is to reflect the national identity, history, and creativity of Portugal from the generation of artisans, illustrators, and painters, as well as that of young urban graffiti artists working today. Take a walking tour of some of the best food trucks in the country, presented by Vancouver Foodie Tours. Covering over a full mile, guests will get tastings of all the amazing food trucks that operate in Vancouver, including the legendary Japadog. Space is limited for each tour, so book in advance. The MELA! Festival will get take over the eastern side of Granville Island all day, will a variety of South Asian cultural displays, food, fashions, and fun. Show your support for the player’s fighting tooth and nail to get their country to the top of pile. The Fan Zone is the best place to show your pride, enjoy some music, and get some great food with soccer fans from around the world. Time: noon to 8 p.m.
On top of being Canada Day, July 1 marks the end of the Vancouver International Jazz Festival, and Granville Island is reaping the benefits. A full day of music start at noon and goes until 9:30 p.m., featuring four free stages with internationally renowned musicians like the Kate Hammett-Vaughn Quintet, Company B Jazz Band and Tambura Rasa. Check out the Coastal Jazz website for a full list of the day’s performers. Time: noon to 9:30 p.m. If you’re looking to inject a little action into your Canada Day, come down the Strathcona Park for the Canada Day Jamboree. There will be DJ sets from over 20 of Vancouver’s best DJs, a 1-on-1 basketball tournament, tons of great food and drink, and an after party at Fortune Sound Club. Follow a cavalcade of cacophonous Canadian carousing across Granville Island all the way to Ron Basford Park. A trail of whimsical community and arts related floats will lead celebrants from one merrymaking event to the other, all the way to the official Canada Day Ceremony. Time: 1:30 to 2 p.m. 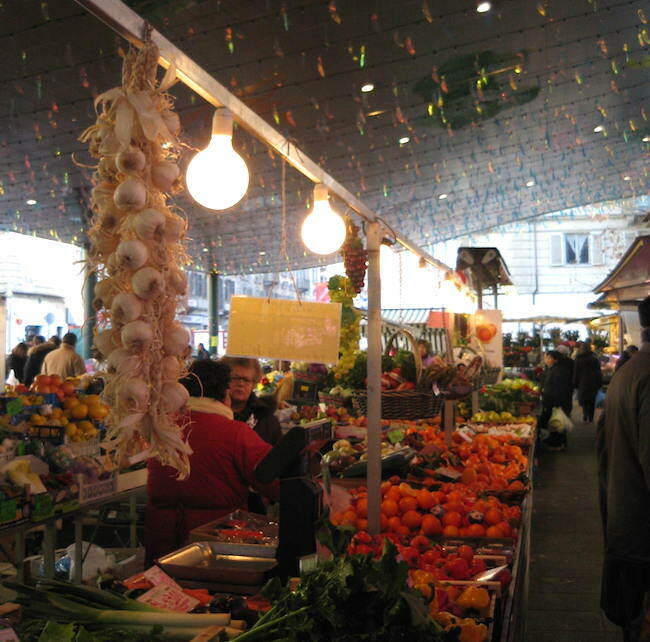 Located under the Main Street Skytrain Station, this bustling market features local merchants, farmers, and artisans, in one of the highest traffic areas in the city. Pick up some handmade goods, local produce, and a bit of Vancouver’s community culture. Time: Show at 2 p.m. and 7 p.m. The annual Canada Day Parade will make its way through throngs of viewers, just the same as it has every year. Dozens of floats are taking part, and this event draws thousands of visitors every year. Make sure to get your spot early. Join FlyOver Canada for Canada Day festivities at their annual fireworks party at Canada Place. Both adults and families are invites to the celebration – which sells out each year – to take in the fireworks from a private viewing zone. During the day, FlyOver Canada will be open with rides happening every 15 minutes. Only FastLane bookings will be accepted. Time: Rides from 9 a.m. to 6 p.m., fireworks party at 8 p.m. Presented by the Victoria BC Ska Society, The Slackers come to the Biltmore Cabaret this Canada Day with guests The Ballantynes, and DJs Jonny Was & Young Royal. Get your ska fill and dance the night away. Time: Doors at 8 p.m., show at 9 p.m. The Vancouver Theatre Sports League presents a weekly outlet for some of the most experimental and innovative techniques in improvisation at the Improv Test Kitchen. Join some of Vancouver’s top improvisors for a peak behind the curtain of live, unscripted performance. Keeping in mind the fireworks can’t be seen from English Bay or Kitsilano, and the view is limited from Jack Poole Plaza. A combination of handmade boats, sculpture, art installations, and demonstrations, The Boat Show highlights to relationship the people of the West Coast have with boats, the ocean, and seafaring. 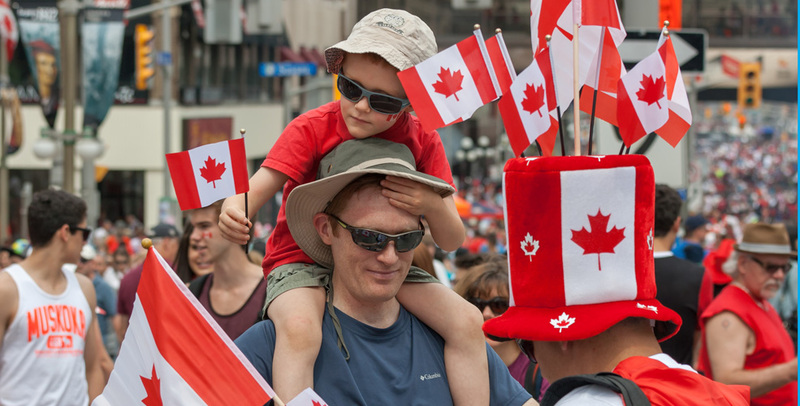 Hosted by the Celebrate North Shore society, the North Shore Canada Day Parade features floats from all around the North Shore community, as well as the Royal Canadian Legion and Cadet Branches. The parade is only in its second year, so go out and support what is quickly becoming an institution of the community. A full list of floats is still in the works, and will route info will be posted on the North Shore Canada Day Parade website. Learn about the role bees play in our ecosystem, and the work apiarists are doing to keep their hives healthy, happy, and thriving. Hive Tours provides a hands-on experience, exploring an active honey bee hive, while learning about the remarkable creatures. Waterfront Park’s Maintage will feature eight acts throughout the day, as well as traditional blessing from representatives of the Squamish First Nations and the national anthem sung by the MoTones Quartet. The event will also feature an Artisans Craft Market where you can pick up handmade items from local artisans, a food court featuring some of the best food trucks in Vancouver, and games and activities for kids and adults alike. Join the people of West Vancouver in John Lawson Park for fun, food, family, and friends. Bring a packed lunch for the whole family or hit up some of the food vendors that will be on location. 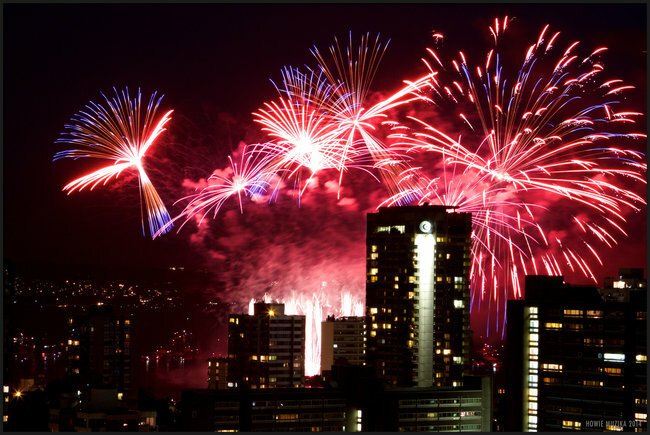 At 10:30 p.m enjoy the two simultaneous fireworks displays taking place over the Burrard Inlet. Time: 4:30 p.m to 10:30 p.m. This beloved annual event draws thousands of attendees each year, and features a parade, great food, activities and events for the whole family. Time: 6:30 a.m. to 5 p.m.
Take advantage of the free admission to the museum, and learn about the rich history of fishing and canning in the Gulf of Georgia. There will be carnival games, music, and fair food for the whole family to enjoy. Over 20 working and historical ships will be on display at the Steveston waterfront, including Canadian naval vessels, the Coast Guard’s hovercraft Siyay, and historic ships Spike Africa, and Adventuress. This free event is a great opportunity to learn about modern seafaring, and the maritime culture of the West Coast. Time: Noon to 7 p.m.
Face-painting, music, arts & crafts, food – there will be something for everyone at Edmonds Park. The day of festivities will end with a free performance by iconic children’s musician Charlotte Diamond. Couched in the trappings of 1920s Burnaby, the Burnaby Village Museum will be taking attendees through a variety of historic and educational events, including heritage games, a vintage carousel, a parade, and red velvet cupcakes visitors. Admittance is free, but carousel rides are $2.55. Time: 11 a.m. to 4:30 p.m. Featuring performances from Canadian rock legends 54-40, Jon & Roy and Bob Marley Tribute band Mostly Marley, this free event is open to the first 4,200 visitors. The evening will end with Burnaby’s Canada Day fireworks display. Time: 5 to 10:30 p.m.
New Westminster’s Canada Day celebrations will be kicking off bright and early at the Queen’s Park band shell. The shell will host a variety of local musical acts, while attendees can take part in cultural exhibits, interactive display booths, and the city’s much-loved Pick-A-Box auction. Time: 11:30 a.m. to 3:30 p.m.
Once the sun sets, head down to Westminster Quay for a fireworks display from the City. There will be lots of local restaurants along the Riverside Market opening their doors for Canada Day celebrants, so make sure to get something to eat before the show starts. The Bill Reid Millennium Amphitheatre will have a cavalcade of Canada Day activities, including food, music, sports demonstrations and activities at the Sports Zone, activities for the little ones at Kids World, the chance to win a Honda Civic and carnival rides from Shooting Star Amusements. 2015 marks another year of this beloved event, where the Mayor of Surrey and the City Council serve tea and strawberry cake to the Seniors of Surrey, drawing over 500 attendees each year. The event begins with speeches at 12:05 p.m. and will feature live music and prize draws. Bringing in Canada’s 148th year with a bang, the City of Surrey’s fireworks spectacular starts at 10:15 p.m.
For those hoping to get a good view, the City recommends grabbing a spot in the field at the Bill Reid Millennium Amphitheatre, since the fireworks will be over the Chevron Mainstage. Start your day with a hot stack of pancakes at the Lions Club Pancake Breakfast. Admittance to the tasty event is $5 for adults and $3 for kids under 10-years-old. After breakfast, kids 10 and under can take part in the 14th Annual Fishing Derby, casting a line in the Coquitlam River for fun and prizes. Admittance to the event is free. This event features an Opening Ceremony and Cake Cutting at noon, a Community Showcase, Children’s Activities like hamster balls, face painting, bouncy castles and more will be on hand for the younger attendees, an International Bazaar and the Firefighter’s Salmon BBQ at 2 p.m., for $10 a person. Grab a blanket and top the day off with the Grande Finale Fireworks at approximately 10:15 p.m.
Time: noon to 10:45 p.m.
For more information on the day’s events, including a full list of performers and activities, visit www.coquitlam.ca. Time: noon to 10:30 p.m.
There’s a lot going on at Spirit Square on Canada Day, including a pancake breakfast from the Lions Club, a variety of musical acts, a 3-on-3 hockey tournament, food fair, watermelon eating contest, and more. Better yet, admittance is free. The annual Canada Day run is hosted by the Athletes in Kind organization, which donates all proceeds from the registration fees and merchandise sales to the BC Childhood Cancer Parents Association. Registration is open until June 29 and can be done at www.athletesinkind.com. Time: 1 km and 2 km run at 8:30 a.m. / 8 km at 9 a.m.
Take advantage of the free admission to the Fort and check out the Cake Cutting at noon, as well as the live cultural music and free family activities. The Langley Centennial Museum and the BC Farm Machinery and Agricultural Museum will also have free admission, so come and check out a piece of Fort Langley history. Chaberton Winery will be hosting their annual Barbeque Fundraiser at the Langley Memorial Hospital July 1. Local band Heist will be putting on a performance for attendees while the people at Chaberton roast sausages and smokies. Bard in the Valley will be putting on a free performance of Shakespeare’s Love’s Labour’s Lost for Canada Day celebrants on the lawn in front of Langley’s Community Hall. Following the Canada Day performance there will be two more performances on July 2 and July 3 at 7 p.m. Hosted by the Langley Events Centre, the Township of Langley, and 93.7 JRfm, the Canada Day JRBQ will be an event full of food and music, with performers Rod Black, Washboard Union, Robyn & Ryleigh, and King & Cash. Admission is free and there will be parking on site. Sponsored by Prospera Credit Union, this extravagant Canada Day Celebration will feature a food fair, play zones for kids, live music, a performance by the Chibi Taiko Japanese Drum Group, and much more. Later in the evening there will be the hot air balloon rides, performances by musical groups Karren Lee Batten and Piper Down, as well as the Canada Day Ceremony and the Abbotsford Idol Competition. Fireworks begin at 10 p.m., and can be best seen from the Abbotsford Exhibition Park. Dozens of floats from local communities and organizations will wind their way down South Fraser Way, with cash prizes for First, Second and Third place. A full itinerary of the day’s events can be seen here. With a pancake breakfast, live music, street performers, and Canada Day cake, not to mention free admission to the museum, Canada Day at the Delta Museum stands to be fun and educational. The Tsawwassen Boundary Bay Lions are putting on a host of activities for Canada Day celebrants, with free hotdogs, face painting, live entertainment, and an official Canada Day Ceremony and cake cutting at 1 p.m.
Ladner’s own century old Edwardian farm house is hosting a slew of Canada Day activities, and showing off their antique tractors, spinning wheels, and other historical accoutrement. Admission is free, and there will be rides and games for everyone. The official Delta Canada Day celebration kicks off at Chalmers Park in North Delta, with crafts and games for kids, food vendors, official ceremony at 6 pm, live music performances from local acts like Will Stroet & The Backyard Band and the March Hare Band. The evening finishes with a Canada Day fireworks display, best viewed from Chalmers Park. Time: 5:30 to 10:45 p.m.